Glovis Maple departing COSCO Ship Yard. 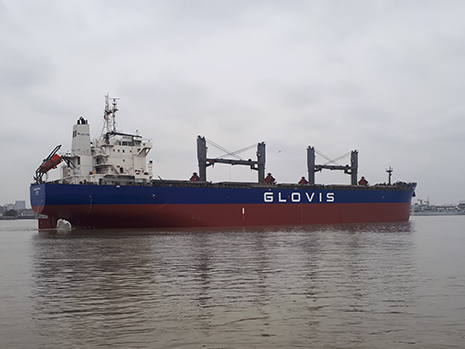 In February 2018, Glovis Maple carried out her dry-docking at COSCO Ship Yard, Changxing Island, China. Hull and cargo holds coatings upgrades were completed as well as general maintenance for its cranes and grabs. The five year special survey has been performed including the renewal of all Flag and Class certificates.